As The A.V. Club continues to roll out its picks for best of, well, everything, it should be noted that there are other institutions out there getting ready to deploy their superlatives, some of which even do so in a fancy ceremony with group selfies (gelfies?) to be aired at a later date. One such body is the Screen Actors Guild, an actors’ labor union that acknowledges said labor with awards. SAG has just announced the nominees for its 2016 awards, which include Trumbo, Mad Men, and first-timer Key & Peele. 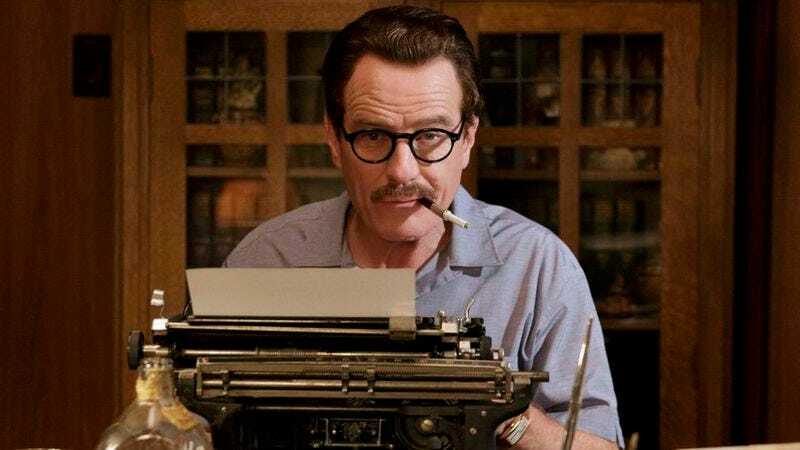 The Bryan Cranston-led Trumbo, about the titular “irascible old coot” who wrote Roman Holiday, nabbed three nominations, including one for outstanding performance by a movie cast. Elsewhere in film, SAG saw fit to fill its Outstanding Performance by a Male Actor in a Leading Role category with naught but portrayals of real-life guys, including Johnny Depp as Whitey Bulger in Black Mass, Michael Fassbender’s take on Steve Jobs, and Cranston as the aforementioned old coot. Sarah Silverman picked up her first SAG nomination in the category for Outstanding Performance by a Female Actor in a Leading Role for her lead role in I Smile Back. Also in contention are Cate Blanchett for Carol, Brie Larson for Room, Helen Mirren in Woman In Gold, and Saoirse Ronan’s trip to Brooklyn. There’s only one (dramatized) true story among them (Woman In Gold), so it’s a lot less likely that anyone will be called out for lack of verisimilitude. In TV, Jon Hamm was nominated for outstanding male actor in a drama alongside Peter Dinklage, Kevin Spacey, Bob Odenkirk and relative newcomer Rami Malek (Mr. Robot). The nominees for outstanding female actor are virtually the same as last year’s, with Viola Davis, Juliana Margulies, Robin Wright, Maggie Smith, and Claire Danes all back in competition. Sadly, this year’s race is now bereft of Tatiana Maslany. But hey, at least Key & Peele has made its first appearance on the list of SAG nominees. Although, come to think of it, this will also be its last appearance on the list of SAG nominees, because the show ended. Now we’re kind of sad again. The SAG awards will air on TBS on January 22, 2016, which means you have roughly 50 days during which you can shriek in anguish and otherwise let your displeasure about various, obvious snubs be known.